Drying clothes generates a significant amount of lint. We all understand the need to clean the lint trap on a regular basis. Depending on the type of fabric being dried, cleaning the lint trap after each load is generally recommended. Regularly cleaning the lint trap will improve air flow in the dryer, and allow it operate more efficiently, saving time to dry your clothes and saving you money on your electric bill. But cleaning the trap is not enough. Your Bayonne dryer vent needs cleaning occasionally as well. Your lint trap does not catch all the lint. Much of it can make it all the way through the dryer air vent, which is released to the outside of your home. Some of the lint will get stuck in the duct work. Flexible dryer hoses, with curves and ridges are especially susceptible to lint accumulation. 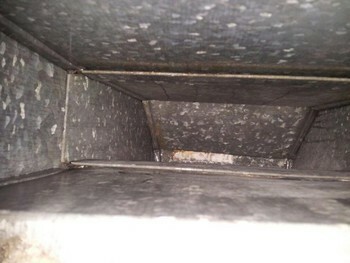 The farther the lint must travel in the duct work, the greater chance it will accumulate. This poses a fire hazard in your home. Every year, house fires are caused by dryer vents that have become obstructed. When heat builds up due to an obstruction, the material becomes very hot. Fires are easily prevented with periodic dryer vent cleaning. Bayonne residents trust A Friendly Carpet Cleaning & Restoration LLC to provide thorough, efficient and reasonably priced vent cleaning services. Call (973) 264-9133 today for a fast, free quote, and get your Bayonne dryer functioning safely and efficiently. We'll schedule an appointment that works around your busy schedule. 5★★★★★ - "Very pleased with the work and carpets came out like new. Two thumbs up." 5★★★★★ - "Paul and his crew are remarkable professionals. Paul is a great business owner and looks out for the best interest of his customers. My girlfriend and I were looking for a carpet cleaning company in the North Jersey area. When we found Paul's company, we requested a quotation and Paul arranged his schedule and was able to provide us with pricing the same day. Paul suggested sanitizing and special cleaning options given the state of the carpet and the fact that previous owners had pets. To our surprise, when Paul finished the work, he slashed the price to 90% of the original quote, stating that he had overestimated the work that needed to be done. What an amazing an honest guy! Who does that?! The job was done in the best possible manner. I highly recommend Paul and his company for any carpet cleaning project." 5★★★★★ - "Just finished a carpet service with Paul and he did an amazing job! He was quick and efficient without jeopardizing the quality of work!! We are very happy customers!! Great price + great service = happy clean carpet customers!! :)"
5★★★★★ - "I had my couch and love seat cleaned and also a area rug. Paul was very professional and the job was done perfect. Would hire him again." 5★★★★★ - "The guys at A Friendly Carpet are exceptionally friendly and addressed my need immediately. I called simply to get a quote and schedule a time to come in. That was an hour ago! They are here now!! My carpet is clean and fresh and the huge ugly smelly poop stain from my dog is gone, and most importantly, they did it all with a smile. Not to mention, they are fairly priced. I am extremely pleased with the service and will certainly use them again in the future! I'd recommend them to anyone! 5★★★★★ - "This is actually my first time ever writing a review but I knew I just had to! Everyone is super friendly, from Paul over the phone to the two guys that came to my house to clean my living room carpet. They did a great job, the price was awesome and I couldn't be happier. They even left me with a bottle of carpet stain remover! I will definitely call them again for further carpet cleaning services, thanks guys!!" 5★★★★★ - "This company made sure they did a thorough job of cleaning our ducts. Knowing we took in water thru our air ducts during Hurricane Sandy, they took extra measures to be sure they removed the caked up debris due to the water saturation. We could actually hear the debris being sucked up in the vaccume. I would definately recommend them to friends and family." 5★★★★★ - "I was so very satisfied with the service proviced by A Friendly Carpet Cleaning & Restoration. My vents need additional plumbing repair/replacement before the vent cleaning can be completed but the servicemen and company were extemely helpful in assisting me in obtaining the information I need to fix the problem noted afterwhich time I will have them return to clean the vents. The servicemen were extremely professional, helpful, experienced and explained everything to me when in fact, they could have just went ahead and cleaned the vent, charged me and went on their way. They were honest with me. I highly recommend them." 5★★★★★ - "I was able to watch the work performed and was very impressed with vigor and complete attention to detail. Thier mannerism were professional throughout the process. I highly recommend this service." 5★★★★★ - "Courteous and professional, I could not have asked for a better carpet cleaner. We had planned on replacing the carpet until we found Paul and his company were able to rid us of cat urine stains and odor. We plan on using them again in the future." 5★★★★★ - "A+ - They came on a moments notice to clean my dryer vent - did a perfect job - incredibly professional. Would absolutely recommend them and will use them again!" 5★★★★★ - "The project was very well done, they were done in the time frame that they told me. Final project turned out great!" 5★★★★★ - "Came on time, found problem and did a very thorough job removing blockage and cleaning line and dryer, including explaining what they found and did. I will be calling them again next year." 5★★★★★ - "They were extremely responsive, reliable, and professional. They called before my appointment to let me know they were on the way and showed up on time. They did a thorough job and cleaned up the surrounding area when they were finished. I would recommend them to friends and neighbors. I plan to have them return to clean my air ducts and carpeting/rugs." 5★★★★★ - "Paul did an amazing job on my carpet and stairs it looks near brand new. Price was fair and he really does only what is needed. Such a nice honest man that takes pride in what he does. I would highly recommend him and will absolutely use him again in the future!" 5★★★★★ - "I had never experienced a carpet cleaning service, so I didn’t know what to expect. Not only was Paul great accommodating his schedule to meet my needs, but the job was amazingly done in no time with fabulous results. The mat they cleaned looks newer than ever before. The price was very reasonable and the professional job made a difference in the results of the cleaning. If you are looking for fast service, professional job and a great customer service, you can call Paul at A Friendly Carpet Cleaning & Restoration, and you will be very satisfied. 5★★★★★ - "I highly recommend Paul. He was as everyone mentioned in their review. He was so easy going with a real down-to-earth personality. He did a phenomenal job on our horrendous carpet and cleaned it twice to make sure it was at its best. He is fair in pricing, reliable and his carpet cleaning work is impeccable." 5★★★★★ - "Paul was great. He was very professional and detailed. He left my carpet looking amazing like I had just moved in. His personality made the experience very pleasant. I would recommend him to anyone for your carpet cleaning needs." 5★★★★★ - "Got my couch cleaned yesterday and they did a fabulous job! Very friendly customer service as well!" 5★★★★★ - "Paul arrived on time as promised and was very thorough with his cleaning of our couches and an area rug. We kind of sprang the rug on him at the last minute as an impulse add on and he was very understanding and gave us a competitive price to clean it up. Overall the work was done in a professional and conscientious manner and the couches came out great (especially considering the condition they were in). I would definitely recommend AFC to anyone in the area who wants a great steam cleaning of their rugs, carpets, and upholstery at a fair price. Thanks, Hector and Paul." 5★★★★★ - "What a great job he did on my aging carpets. Better than the previous people I had in to clean them last time. Was professional and very nice and gave me good advice on keeping them clean." 5★★★★★ - "My carpet hadn’t been cleaned in a year and a half and yes it was really dirty. So yesterday 10/25/17, my husband decided to call A Friendly Carpet and booked an appointment for the same day. I was a little skeptical because I never heard of this company before. But when Paul came, he conquered and most certainly won me over with the wonderful job he did cleaning our carpet and 4 bedrooms; each were cleaned Immaculately. Thanks again Paul for a fantastic job." 5★★★★★ - "Paul and his assistant are professional, efficient, and amazing to work with! Not only did they work hard to remove all the stains from our dirty carpet, they also went above and beyond to make things comfortable for us and worked with the building management to get things done quickly." 5★★★★★ - "Thank you so much for the great service...even with the mixup of a voucher/no voucher you all had patience and knowledge of what was necessary. I am amazed at the before and after pictures. Thank you one million!" 5★★★★★ - "Paul was reliable and came on time to the appointment. He answered all of my questions as he cleaned my couch and loveseat. He also cleaned a white shag rug. He shampooed all of the furniture by hand and then steam cleaned it. My furniture looks absolutely brand new. Thank you for doing such a phenomenal job!" 5★★★★★ - "Trust and honesty is what you want in a person servicing your home, and Paul is a perfect example of that! He was on time, gave me a fair assessment of my carpets and saved me money where I can. The carpets came out very clean and was able to get all my stains out. Thanks so much!" 5★★★★★ - "Excellent service and a good value. The whole house smelled fresh and clean. Paul and his crew are meticulous and didn't miss anything." 5★★★★★ - "Terrific job - friendly and professional -- would definitely recommend!" 5★★★★★ - "Great carpet cleaning, great guy, great service. I inquired many carpet cleaners on Yelp and Paul(the owner) was the first to get back to me. Very professional and down to earth, price may have been a little higher than the other quotes I got(I think) but I knew just from the first phone call that Paul was the right choice. I am glad I did go with A Friendly, my carpets look amazing, they were on time, neat, they moved whatever furniture they could including lifting all my mattresses to clean under the beds and I love when I see the owner working hard right next to his peeps!! I would definitely recommend them to anyone looking for carpet cleaning services and they do so much more. Check out there website." 5★★★★★ - "Recently had my 3 family row house stairs and hallways cleaned by Paul. He arrived at our agreed upon time and did the work himself. Carpets came out beautiful! Will absolutely use them again." 5★★★★★ - "Paul is great. Nicest guy, Reasonably priced, and, most important, got our carpet looking nearly new again. We had some serious deep brown/orange pee stains from our puppy and he really did a bang up job. 5★★★★★ - "Paul did an excellent job cleaning the tiles and small carpet area in our new condo. I will definitely use this company again for our future tile/carpet cleaning needs. Highly recommend." 5★★★★★ - "A few months back, we had an area rug cleaned by Paul at AFC. Because we have a toddler, the rug was stained from juice to mashed in food particles! He picked up the rug and due to my hectic work schedule, it was over a month before I was available to have the rug dropped back off to me. Paul did not complain at all, and when he dropped off the rug is was like brand new. He is so friendly. It felt like a friend stopped by to do a favor! Today, we had Paul stop by again and he definitely saved the day. Our toddler had urinated in the bed and it soaked through the mattress cover onto our pillow top mattress. we were worried because it has been happening for two weeks now, that the mattress would be ruined as there were already yellow urine stains & it had started to smell. Paul worked his magic and removed the color & smell and was even able to get out an old baby milk stain from over 2 years ago!! We definitely will use him again and appreciate the unbelievable service we received." 5★★★★★ - "Paul was accommodating in price and schedule. I needed the carpet cleaned quickly as my mother was returning from rehab and the carpet needed to be dry. Paul came on a Tuesday, gave me a reasonable estimate/actual cost, and came back Wednesday early morning to clean. He came back the next day to take care of some issues that were a result of the high traffic area needing some extra work. I would definitely recommend A Friendly Carpet Cleaning and Restoration." 5★★★★★ - "Great company, came out the same day. Carpets look brand new. I will recommend them to anyone needing to clean there carpets." 5★★★★★ - "Excellent quick yet thorough, professional, friendly service. Highly recommended. 5★★★★★ - "Highly recommend!! Truly a friendly cleaning service. Inquired online about cleaning my microfiber sectional sofa and received a no-pressure call the same day, arranged for service the next. The 2 workers arrived on time and tackled the job very efficiently, even finding a way to hook up the industrial vacuum through my 2nd-story apartment window to their truck parked below. Super friendly guys, very clean work, no mess left behind! All for a great price. Sofa looks great and smells great too (no intense chemical or perfume scents). Will be hiring them again when the time comes. Thank you so much!" 5★★★★★ - "AFC was easy and prompt! Best part, my carpets look brand new! Thank you Paul! 5★★★★★ - "These guys are miracle workers!! I needed to do a carpet cleaning on my townhome that I was moving out of. I called Paul the same week and he came to do an estimate in two business days after I called. He was very professional and friendly and accommodating. After walking through the unit, he was able to quote us a price which I found reasonable considering the work that had to be done and the cleaning. There were stains that were there prior to my moving in and he was even able to take those out too!! Something that other carpet services couldn't do!! I will definitely use him again next time I need my floors to be professionally cleaned. He was awesome! The carpets are as good as new!! 5★★★★★ - "OUTSTANDING carpet cleaning service. These guys, one of which was the owner came and cleaned my apartment in clark today and did a better job then ive ever had done before on my carpets. They also charged me less money then originally quoted and the carpets look BRAND NEW. I WOULD HIGHLY RECOMMEND! "I've had two excellent carpet cleanings by Paul and his service. I couldn't be happier with his excellent service, even in light of circumstances beyond my control with crazy landlords and a condo board president who thinks he runs the world. These difficult people at two different properties each tried to interfere with the cleaning service, and Paul carried on, undeterred and still very cheerful and happy to do his job, which he did well in both cases. In the first job, I lived on a third floor apartment in an old Victorian home with dusty, dirty and ancient wall to wall carpeting. Paul's hard work brought new life into the carpeting, beyond what I ever expected could have been done considering how old and dry rotted they were. At the end of the job, the carpets looked and smelled fantastic, it was impressive. The second job was in a new construction condo, with rugs in much better condition with a few stains here and there. Each and every spot was removed by Paul, who went the extra mile with different chemicals to address each spot individually. The carpets looked brand new when he was done, he did a fantastic job. I would definitely call Paul for my next cleaning. He came the same day I called, gave me a fair price and did not try to up-sell or charge a penny more than he quoted. Paul was especially gracious in light of unanticipated personality issues (from a ridiculous fellow tenant & then from a very aggressive and nasty board president) and was professional in light of their rudeness. Class act & a great service, I highly recommend you give your next carpet cleaning job to this hard working & very nice guy and his small business. He deserves it." "We recently relocated from NY to Palisades Park, NJ to the 2nd floor of a house. The home owners are a wonderful family who got stuck with the previous tenants blatant disregard for their property. The people deep fried food and destroyed the entire newly rebuilt kitchen with oil everywhere. The carpets were tracked and matted down with oil. The first cleaning crew did nothing but soak the floor and it took over 4 days to dry. Paul came out and gave an estimate to the landlord and said he could get it clean. Well, Kevin and his man showed up today and they did exactly that. They cleaned the carpets to like new condition and cleaned the kitchen floor and it looks new. No more sticky oil tracking through our entire new home. Kevin and his partner worked hard for 3 hours and did a superb job. Friendly like their name, 100% guarantee and quality work. You cannot ask for more than that. I would recommend this company any day." 5★★★★★ - "A Friendly Carpet is awesome! We've called on them twice in the past year due to a cat who has developed some poor habits. He recently sprayed on the carpet in the bedroom and threw up on our couch. A Friendly Carpet was thorough, knowledgeable, and efficient. Our couch looks fantastic and there isn't even the slightest bit of odor left on our carpet. Paul and his crew are super friendly and offer excellent service. So glad we found them! 5★★★★★ - "Friendly, efficient, professional. Powerful equipment and excellent service." 5★★★★★ - "They did fantastic work cleaning our carpets, even though it was a small job. Even the basement carpet looked 100% cleaner. They also left a small bottle of touch-up cleaner with us, which really works well." 5★★★★★ - "Magician is the word I'd use to describe this carpet cleaning company. I have three dogs and the gross carpet to prove it but after A Friendly Carpet Cleaning was here my daughter described it as better than when we moved in. Friendly, professional and just amazing. I'm going to keep using him." 5★★★★★ - "The service is very very good. Paul kept in frequent contact with an ETA and kept his word on both arrival time and price. On top of that he and his assistant were both just really nice guys. And btw the sofa came out looking great and they left no mess behind." 5★★★★★ - "Very happy with the duct cleaning they did and I would definitely use their services again. The price was very reasonable and they also came at the time designated." 5★★★★★ - "A Friendly Carpet Cleaning came on time cleaned my tiles and grout, made my floor look absolutely brand new. they cleaned my carpeted stairs and rug in living room which also cleaned beautifully. The cleaners were very professional and and made sure we were satisfied with results.They really care about the quality of their work. I would highly recommend them." 5★★★★★ - "Use these pros for air duct cleaning, you won't be disappointed. Great Service from Kevin and Matt, they are both professional, knowledgeable, and took great care of my heating system and ducts, The before and after photos were amazing to see. I will recommend A Friendly Carpet Cleaning and Restoration to everyone and plan on using them each year before I turn on the heat!" 5★★★★★ - "Excellent company ! I hired a friendly for Heating duct cleaning and they were excellent! I hired Mark IV for carpet cleaning and they too were excellent!!!" 5★★★★★ - "Very customer focused and thorough. In addition to leaning the ducts, they went the extra mile of helping to ensure our filter replacement was effortlessly adjusting the brackets etc." 5★★★★★ - "Wonderful job! I felt like they went the extra mile to provide good customer service." 5★★★★★ - "Paul and his associates came today to clean my carpets. They were absolutely awesome. Friendly, professional, knowledgable, prompt, and did a fantastic job! Recommend they highly, and thanks for the reference. We can always count on you!" 5★★★★★ - "Very helpful, professional job. Understood my concerns about the project. Recommend to anyone." 5★★★★★ - "A Friendly Carpet Cleaning & Restoration was very accommodating and were on time for their appointments. Their is excellent. Is was about to buy a new carpet and new living room set until I found them. They cleaned everything like new and relatively quickly!" 5★★★★★ - "Very friendly, professional. Did an excellent job cleaning two upholstered chairs. I will call them again." 5★★★★★ - "Great job - they were upfront about the costs and my options and the rug cleanings themselves were very thorough." 5★★★★★ - "Super professional, very friendly, just like their name says. I had a big issue with my cats deciding to pee all over my sofa (ugh). AFCC came same day and not only cleaned my couch, but also the cat tree and a few pillows for good measure, without adding to my initial estimate. They were also they only people to give me an estimate on the phone based on my description of the issue and didn't vary from it by one cent after job was done. They're very honest also - cat pee is the hardest smell in the world to get out - and let me know some odor may still remain, even before starting. I would call these guys again in a heartbeat."